Officers in St Helens are welcoming the sentencing and charge of St Helens burglars to a total of 150 months (12.5 years) in jail this month, as they continue to crack down on burglary in the area. 30-year-old Jamie Worrall of Alder Street in Newton-le-Willows was sentenced to 45 months imprisonment following a burglary in The Shires, St Helens between Saturday, December 1 and Sunday, December 2, 2018. 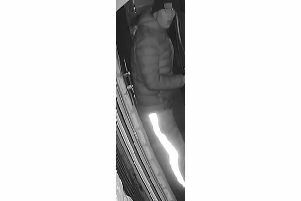 Items including bank cards and cash were stolen from an elderly man’s home and used at local shops. Worrall was sighted by officers in Corporation Street on Monday, December 3 and stolen items were found in his bag before he was detained. He was sentenced after admitting burglary, fraud and being carried in a vehicle taken without consent. Worrall was additionally sentenced for a burglary in October in Gleave Street, St Helens in which cash, cards and a bus pass were stolen from the home of an elderly man. His accomplice in the Gleave Street offence, 28-year-old Paul Alban from Cherry Tree Drive, St Helens, was also sentenced to 45 months in prison after admitting burglary, fraud, unauthorised taking of a motor vehicle, and possession of cannabis. 33-year-old James Towey from Charnwood Street, St Helens was sentenced to 30 months in prison after pleading guilty to one count of burglary and one count of handling stolen goods, in relation to the theft of vehicle registration plates. 33-year-old Gareth Towey of no fixed abode was sentenced to 20 months in prison after pleading guilty to one count of burglary and four counts of theft in 2018, for items including a charity box from Garswood Library in School Lane. 18-year-old Stephen Carney of no fixed abode was sentenced to 10 months imprisonment following a burglary last October. On Thursday, October 18, entry was forced to a house in Nutgrove Hall Drive and, although no items were stolen, forensic enquiries at the scene led to the arrest and charge of Carney. 20-year-old Shane Appleton of London Row in Newton-le-Willows was arrested and charged with attempted burglary, burglary dwelling, aggravated vehicle taking and driving with no insurance or licence. The charges related to a burglary on Christmas Day at an address in Vulcan Park Way in Newton-le-Willow in which a BMW was stolen. The car was located a short time later and recovered. Reflecting on the sentencings and charge, Detective Chief Inspector Craig Sumner said: “We recognise and understand the impact that burglary has on our local communities and I want to reassure all victims that we will do everything possible to target those we believe are involved. “Our investigations and community policing teams are working hard together to develop intelligence from the community and partners, and will act on all information to pursue offenders. “Burglars will target the most vulnerable people on our communities and burglars will look for easy targets, so don’t give them the chance, especially in the winter months, when there are long hours of darkness. There is also crime prevention advice available on our website and I would particularly ask that people keep their gardens, sheds and houses safe and secure, and look out for their neighbours when they are away. “We regularly stop-check people acting suspiciously, which deters criminals from operating in these areas, so together we can make these areas hostile places for criminals to operate. “Our commitment and momentum in catching burglary offenders and putting them before the courts will not cease, so keep coming forward and we’ll do the rest. You can provide information directly to officers, or anonymously via Crimestoppers."